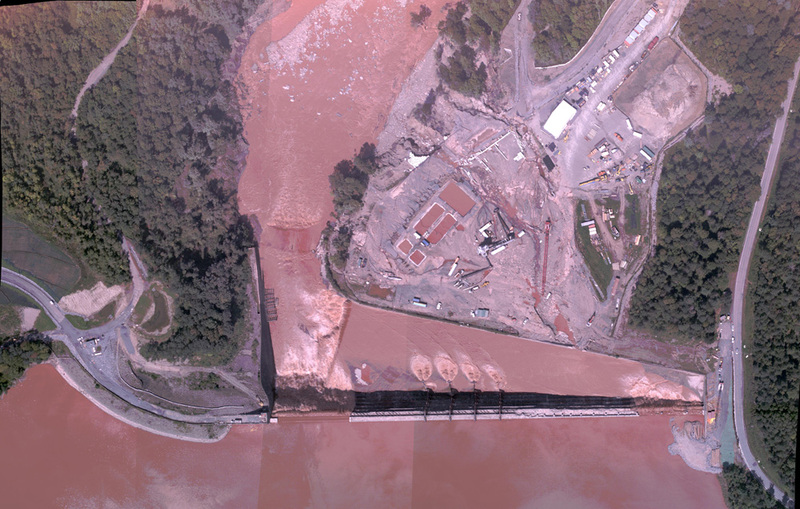 RIT captured high-resolution color imagery of water overflowing the Gilboa Dam on Aug. 30, 2011. Several images were stitched together and provided to New York State Office of Emergency Management within four hours. Rochester Institute of Technology is raising awareness in Washington, D.C., about the need to build a deeper workforce to support the nation’s defense, intelligence and civil communities that depend on satellite imaging systems. These groups increasingly rely on remotely sensed data to better understand a changing, complex world. Exacerbating the problem is an imbalance between a profusion of technology and a declining workforce of veteran scientists and engineers reaching retirement age within the next two to five years. The “Report on Challenges and Recommendations for U.S. Overhead Architecture” calls for workforce development in imaging science and remote sensing, and partnerships with universities. U.S. Rep. Louise Slaughter is sponsoring a briefing at the Capitol Visitor’s Center at noon on Tuesday, Dec. 3, calling for a federal initiative to increase the number of young scientists proficient in the capture, processing and analysis of remote imagery to fill technical jobs within the defense intelligence community. The event, “STEM Workforce in Remote Sensing, a National Imperative: Views and Next Steps from the Intelligence, Corporate and Academic Communities,” is hosted by RIT President Bill Destler and Professor David Messinger, director of the Digital Imaging and Remote Sensing Laboratory in RIT’s Chester F. Carlson Center for Imaging Science. Attending the briefing will be staff and members of Congress, members of federal intelligence agencies, industry and RIT alumni working in the field. RIT recognizes the need to harness technologies with a trained workforce that will leverage its STEM skills and address challenges with cutting-edge engineering and analytics. Keith Masback, president of U.S. Geospatial Intelligence Foundation Inc., and Minda Suchan, director of External Affairs and Advocacy at Exelis Geospatial Systems, will offer their perspective on workforce needs. Following their comments, Messinger will talk about RIT’s Digital Imaging and Remote Sensing Laboratory and how the university can be part of the solution to the workforce problem by increasing the number of undergraduates and graduates with expertise in imaging science and remote sensing.